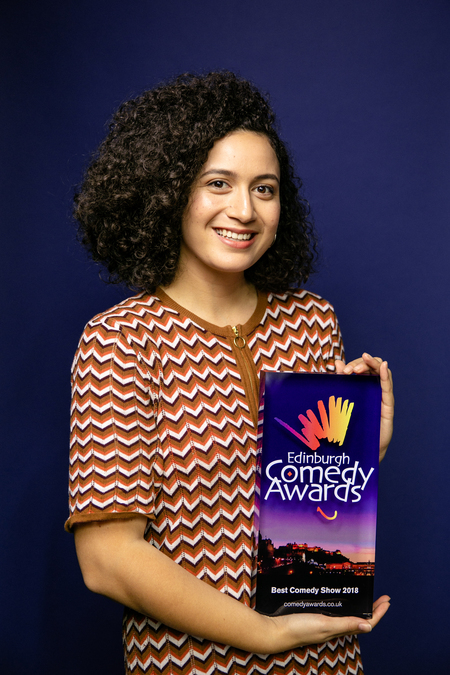 Rose Matafeo collected the Edinburgh Comedy Award for her show Horndog which ran at Pleasance Courtyard. The ceremony was presented at Dovecot Studios by previous winners Steve Coogan (1992) and John Robins (2017). Horndog featured Matafeo's 'horniness' for pop cultural passions, as well as in the usual sense. Award director Nica Burns said: "New Zealander Rose Matafeo, the fizzing charismatic 26-year-old voice of Millennials triumphs in a nail-bitingly close year. Funny and sassy, she riffs about love, adolescence and social media obsession to a pop culture soundtrack. An utterly joyful adrenaline high." It marks a remarkable rise for Matafeo. Her first show in Edinburgh was as little ago as 2015. In that year she split an hour at Espionage on the Free Festival and went somewhat under the radar. The next year her debut hour Rose Matafeo is Finally Dead earned her a lot of critical praise, including from our own Jenni Ajderian, who named it one of her favourite shows of the 2016 Fringe. Matafeo's reputation accelerated in Edinburgh with her follow-up Sassy Best Friend, which many considered to have been overlooked by the award panel. 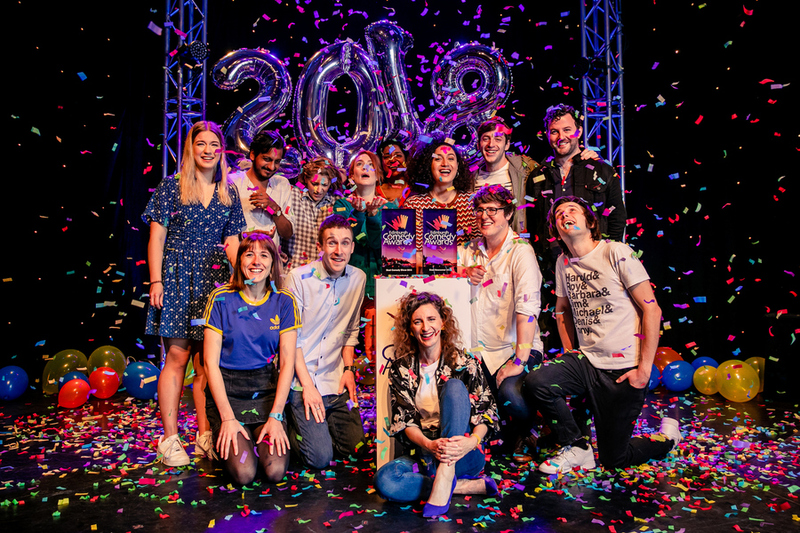 Her victory this year is also another feather in the cap for Berk's Nest, the producers behind Richard Gadd's 2016 winning show Monkey See Monkey Do, with co-founder Phoebe Burke directing Horndog. Matafeo's success has been acknowledged by New Zealand's Prime Minister Jacinda Ardern, who tweeted her congratulations. 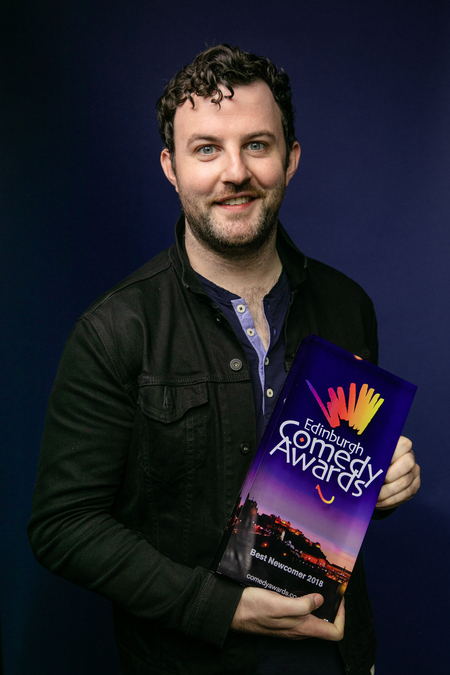 The award for best newcomer went to Ciarán Dowd. Though with plenty of Fringes under his belt as part of sketch group Beasts, Dowd made an effortless transition in his first solo hour. His 17th century swashbuckling character Don Rodolfo was of such quality that the Evening Standard's Bruce Dessau, the most experienced comedy critic at the Fringe, suggested it might skip the newcomer list and go straight to the main one. Had that happened, Dowd may have been relieved as the competition was exceptionally intense among debutants. Joining him on the nominations list were Maisie Adam, Olga Koch, Sara Barron, Sarah Keyworth and Sindhu Vee. If this reflects a glass ceiling being smashed in the UK is something that deserves a wider discussion. It's noteable other debutants – Catherine Bohart, Rosie Jones and Heidi Regan – were perhaps unlucky not to make the newcomer list too. Whatever the reasons, more women seem to have broken through compared to previous years, and despite an industry which is notoriously hostile, comedy has gained a number of exceptional artists all at once. The Panel Prize, awarded to the person or group which best captures the 'spirit of the Fringe', went to Angela Barnes, Sameena Zehra, Pauline Eyre and the Home Safe Collective. The initiative started after the murder of Melbourne comedian Eurydice Dixon, who was attacked on her way home from a gig. At the Fringe, donations were used to set up an account with CityCabs, an Edinburgh taxi firm whose drivers are police checked. Matafeo wins £10,000 and Dowd £5,000. The £5,000 for the Panel Prize is to be donated to the Home Safe campaign for the 2019 Edinburgh Fringe.